This page contains sample pages from the upcoming ADOM RPG. As the game has not yet been published all examples are subject to potential change. The final layout might look differently. Nonetheless we will try to keep you updated on the progress of the rulebooks. The rulebooks are layouted in glorious full color with tons of amazing art. B/W versions probably also will be made available, though at reduced quality, as they will be derived from the full-color versions. 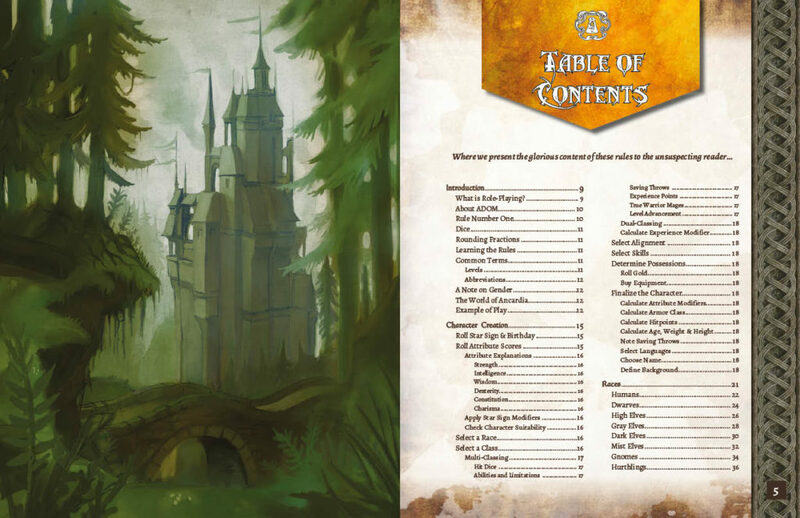 below plus an extended table of content, the intro to the character creation chapter and a preview of Gamemaster’s Guide content plus more sample art. 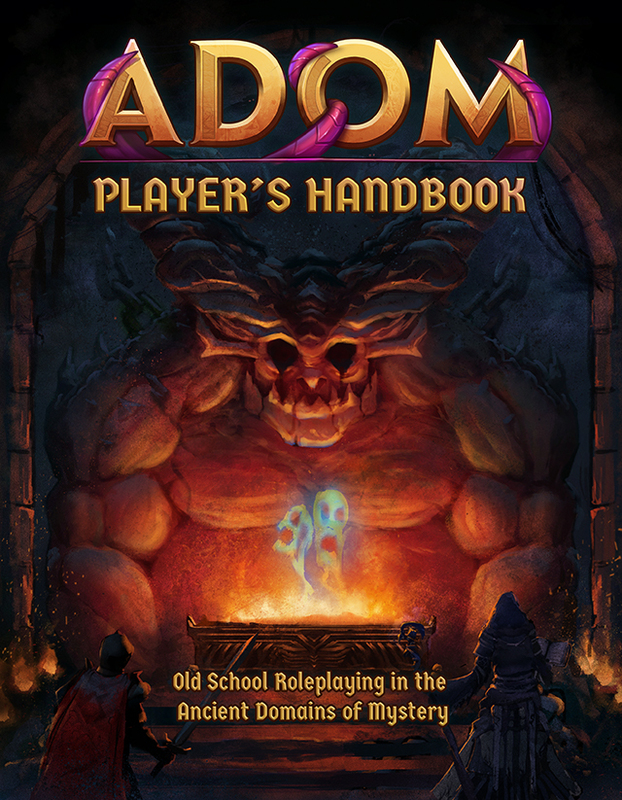 The ADOM RPG will be published in two books, the first one being the Player’s Handbook (PHB) will all information for creating and advancing characters. The cover is a nod to the famous “red demon statue” cover of the player’s handbook of the first advanced edition of the grandfather of all roleplaying rules. 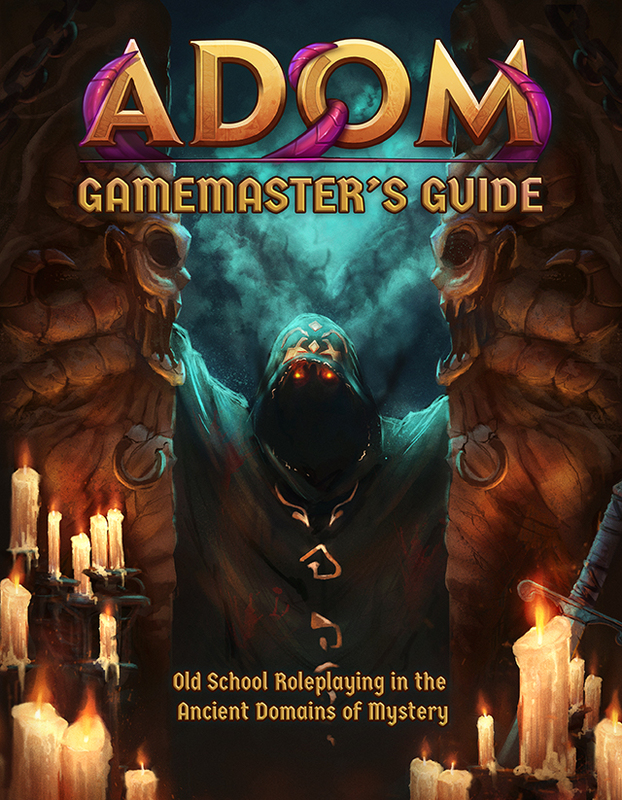 The second game manual of the ADOM RPG is the Game Master’s Guide (GMG) containing all the rules required to create a campaign, for magical items and monsters as well about specialized topics like corruption, large-scale warfare or ascending to immortality. 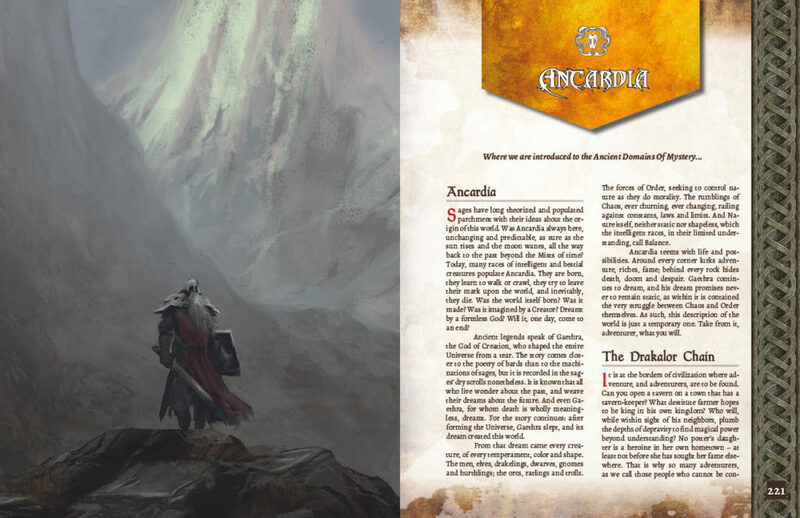 It also will contain more detailed information about the world of Ancardia (the background world of Ancient Domains Of Mystery). The cover is a reminiscence to one of the famous advanced first edition gamemaster guides of the world most famous roleplaying game. It depicts Brannalbin, a mysterious immortal master of magic in the world of Ancardia. 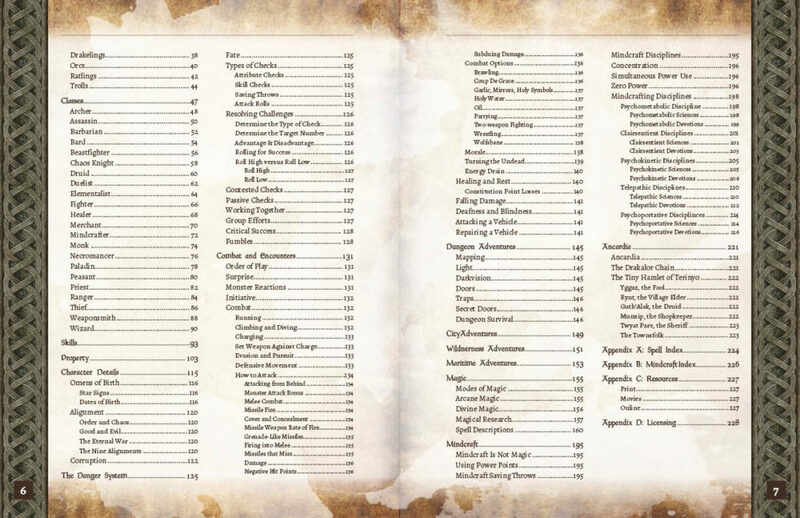 The following sample shows parts of the table of content from the Player’s Handbook. As the PHB still is a work in progress it is neither complete nor are the page numbers final. We expect the PHB to be around 256 pages in size in its end version. 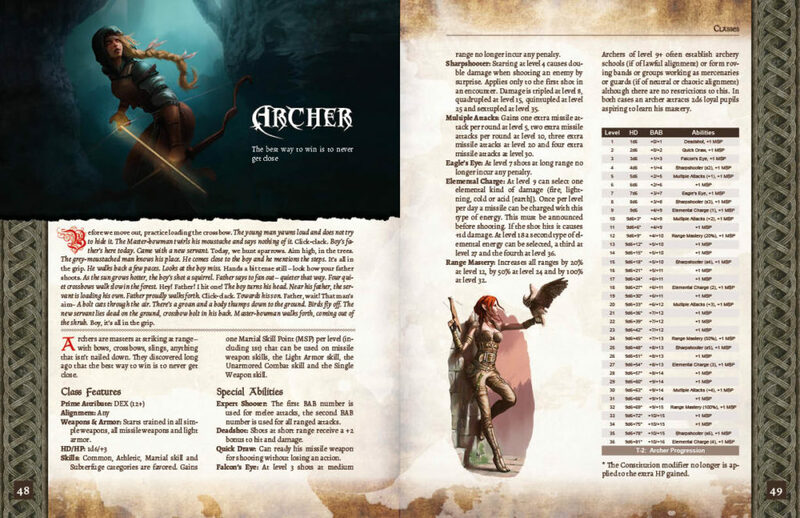 The following sample shows the Archer character class. 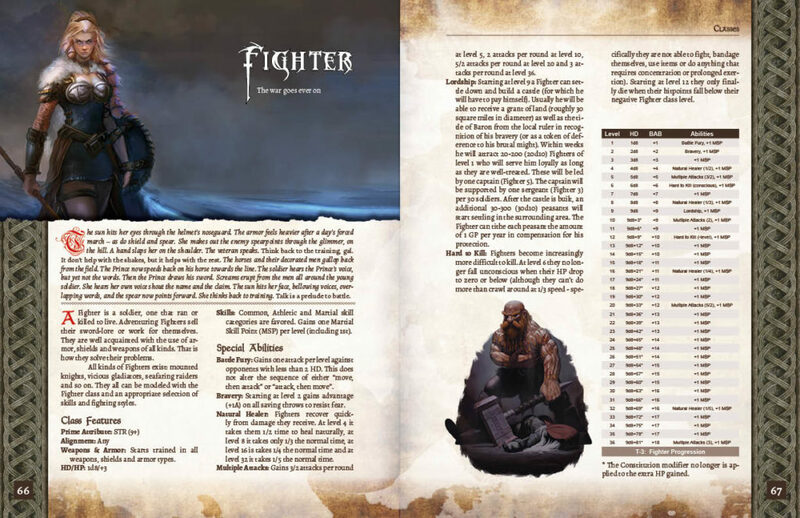 The following sample shows the Fighter character class. 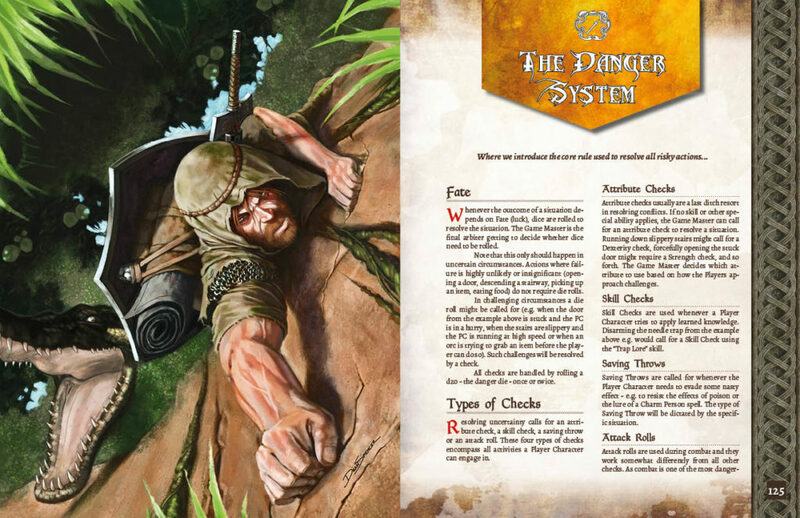 The Danger System is the core rules system of the ADOM RPG. It combines the advantage/disadvantage system of the fifth edition of the world’s most famous roleplaying system with a system suggested by Methods & Madness blog that brilliantly scales the advantage/disadvantage system to more complex situations and removes many illogical and/or stupid cases created by the design of the fifth edition. Mindcraft always has been a somewhat neglected staple of the ADOM roguelike game. In the ADOM RPG we will Make Mindcraft Great Again (MMGA) – starting with a mind-blowingly beautiful chapter intro. 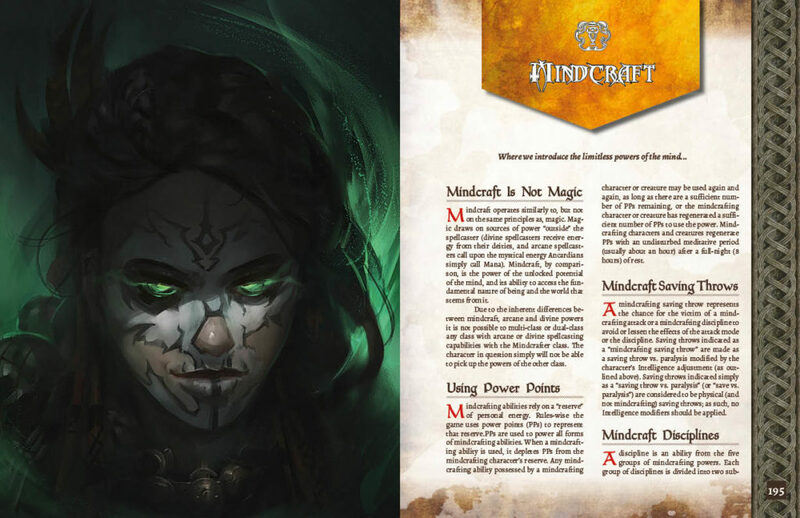 The Player’s Handbook will contain some introductory information about the world of Ancardia and a small sandbox campaign setting situated in the Drakalor Chain, an area well known from the roguelike computer game ADOM.